New Horizons has special Personal & Social Adjustment units at several of our locations offering a safe, friendly environment for individuals with more severe and multiple impairments, or those who have other barriers to independence. Program services range from providing individualized personal daily care, to community integration and social independence. Our work skills program teaches fundamental vocational skills in a supportive environment. Our community based programs focus on activities such as, volunteer work and employment activities that teach daily living skills. When it is more appropriate to serve an individual in the community or in their residential placement, our staff can assist the person in developing social and daily living skills in an environment outside of one of our facilities. These services are intended to help an individual learn how to more fully access their communities and become more independent. 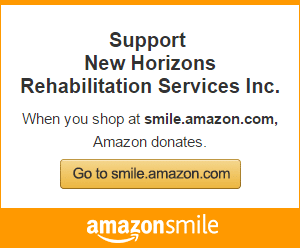 New Horizons provides unique services to individuals and their families in the home. The natural support of one’s own home can be a very constructive and conducive learning environment. Because of the limited mobility, serious health conditions, and lack of transportation of some individuals, in-home skill development can be an excellent option. Qualified New Horizons staff can work with individuals and their families to meet their needs.